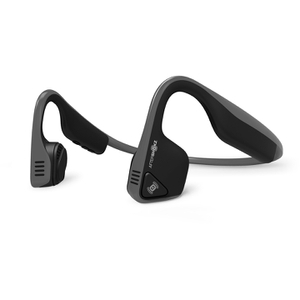 There headphones are fantastic Work well even in noisy conditions like a busy road while running Stay on the head great and are not too tight to the side of the head. Buttons are a bit fiddly at first but play/pause and volume are fine but next track and back are not obvious. Battery seems to be ok but haven’t given it a long run yet just an hour. Overall the best running headphones I have ever had and that includes Bose in ear ones. Late purchase of an excellent product that arrived in time for Christmas. Happy Customer, Happy recipient. These are excellent headphones, and have transformed my music listening and Turbo training. No more sweaty ear pads or headphone that fall off when you move too much. I have slight hearing loss and normal 'in the ear' headphones don't work for me, can't get them loud enough. Not so through Blue Tooth, so these are the answer. You can pick up calls and chat while on the bike too! I purchased these because I wanted to be able to listen to music while still being able to hear my surroundings, particularly while biking. So far I have been pretty happy with them. 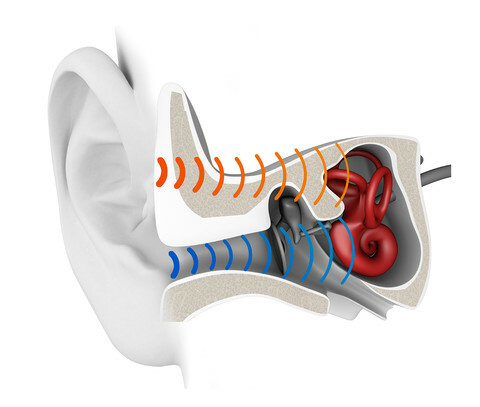 I am sure they are working by bone conduction but they also emit a small amount of sound, which you can hear from a short distance. The battery life seems quite impressive, which is nice, as one concern I had about bluetooth headphones is forgetting to charge them! I do wish the band around the back was a little smaller as I find it bumps into hoods or shirt collars when looking around. Shipping was delayed by about a week, and I got charged extra on duties unfortunately. Delivery of the product came in the specified time. The headphones are comfortable and sound is great for what I want. I have conductive hearing loss in one ear so this works great for watching netflix on my computer.